Do you want soothed, velvet-soft skin in less than 5 minutes? Get masking with our NEW Lavender Milk + Honey Face Cake Mask! 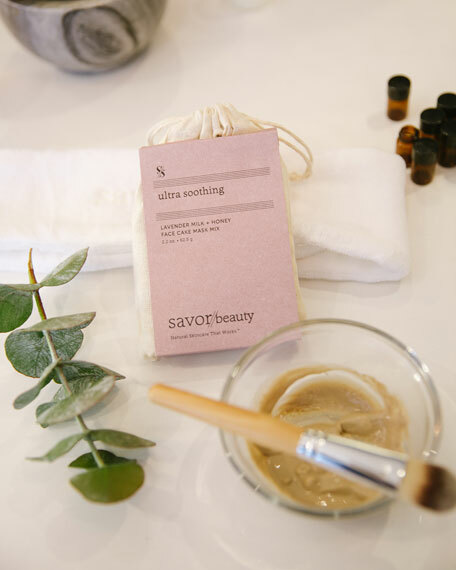 Savor Beauty + Spa's customized exotic clay masks are the most talked-about part of our facials. Now for the first time, you can whip up your own DIY spa masks at home or with friends for a spa party! Instantly soothes and heals complexion. Reduces redness and other skin imperfections. 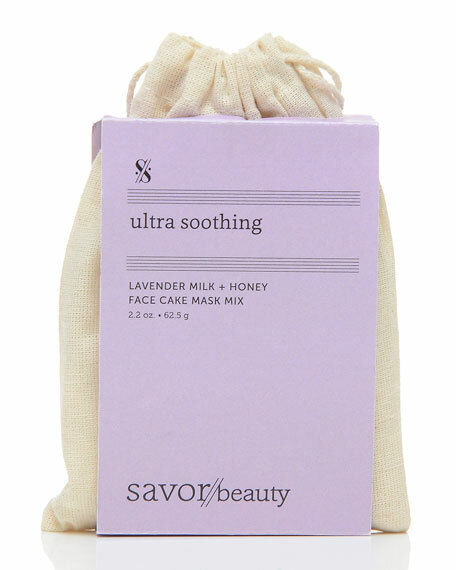 The Lavender Milk + Honey Face Cake is good for all skin types. Your Face Cake comes with 3 recipes to get you started! Just mix together recommended skin-loving ingredients like milk, egg whites or water with the Face Cake mix. Let this rinse-off spa mask bake on your face to reveal skin radiance! Pour, mix, mask! Face Cake Masks are creamy, silky, detoxifying clay mask mixes that refine pores while infusing skin with radiance and luminosity for buttery-soft texture. Savor Beauty donates a portion of Face Cake proceeds to women's shelters to empower them to love the skin they're in. #KoreanBeauty Tip: If you have dry or sensitive skin, don't let your mask dry completely! This can stress and sap moisture from the skin, so remove it while it is still wet.